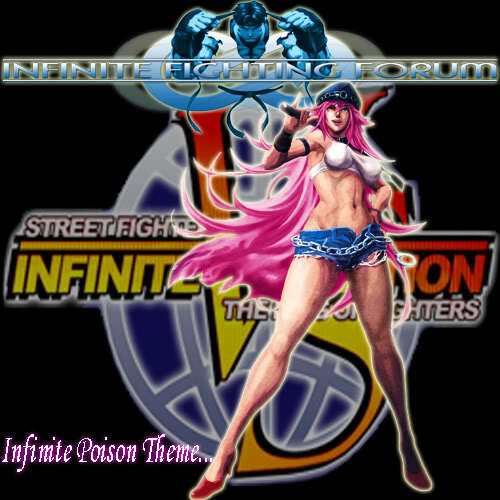 A Forum that specializes in the fighting genre. I like this theme alot. I think it works out great for Poison. I don't recall hearing it though.. is this one an original composition (seeing as how I don't believe Poison had her own theme music before)? Or is it a variation on another theme? Either way it's very good. Tazzer wrote: I like this theme alot. I think it works out great for Poison. I don't recall hearing it though.. is this one an original composition (seeing as how I don't believe Poison had her own theme music before)? Or is it a variation on another theme? Either way it's very good.